An architecture marvel. That’s right. 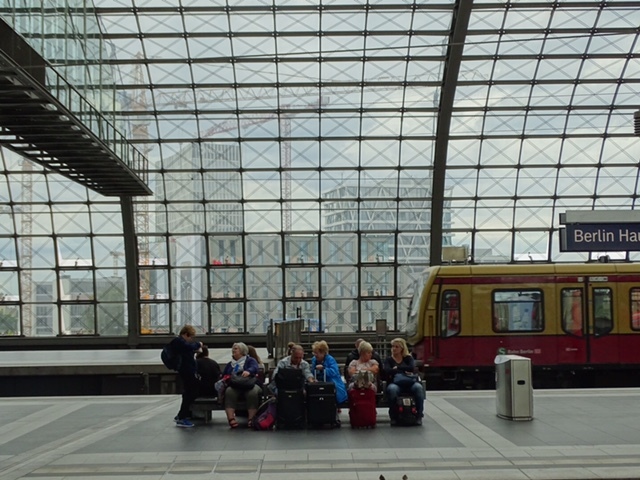 Hauptbahnhof Berlin’s Central Station is in itself an attraction worth visiting when exploring Berlin. Especially if you are an architecture and engineering afficionado. Whether you are passing through it on a train/subway or making it a destination attraction, take your time. It is worth your it. Trust me. Hauptbahnhof Berlin’s Central Station is the main railway station in town. It was inaugurated in May 2006 and came into full operation. 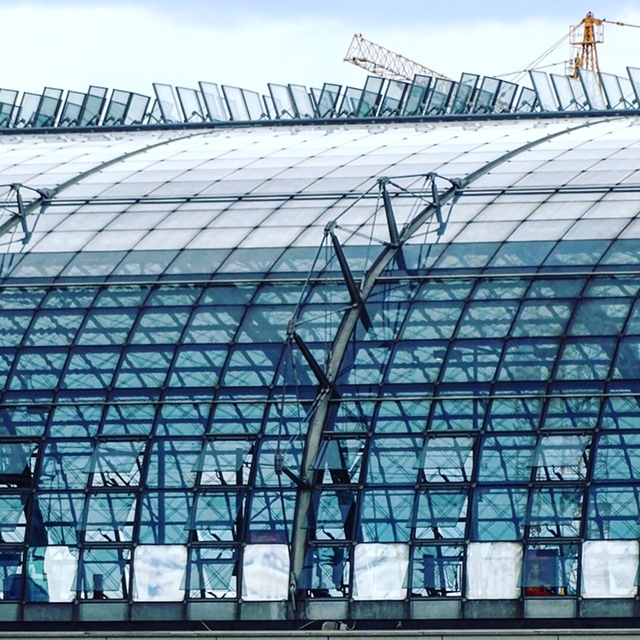 The amazing structure is located on the site of the historic Lehrter Bahnhof, which was destructed during World War II. After German Reunification it was decided that a new Central Station should be built as part of the transport plan for the reunified Berlin. After a public competition to determine the best project concept, the firm Gerkan, Marg and Partners from Hamburg won with a beautiful and super challenging vision and exciting vision. The overall project took advantage of the existing railway tracks. Large filigree glass roofs connect two bridging 10 story office buildings. The four towers are connected over an amaying glass tunnel. Simply WOW! In the central area of the station, the ceilings are equipped with large openings that allow daylight to penetrate as far as the underground levels. Our favorite feature is, of course, the 221 meter long East-West glass tunnel. Stunning. Make sure to observe the details and elements like the squares that vary in dimensions. So beautiful, airy, transparent, sensational and hypnotizing. The buidling houses offices, many stores, supermarket, pharmacies and fast food options. 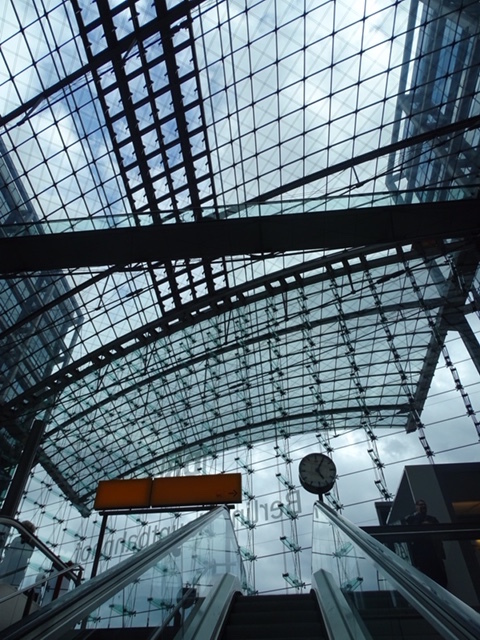 TIP: The Hauptbahnhof is a good shopping option on Sundays, as most stores are closed. On any normal day over 300.000 people go through the station which makes it one of the busiest in Europe. We love spending time here looking at the people arriving and leaving. Another fun thing to do is to go down to the lowest platform levels and look up. Do the opposite. Go up to the highest platform levels and look down. Take your time to soak in the atmosphere and energy. Observe the strength of the forms and materials. 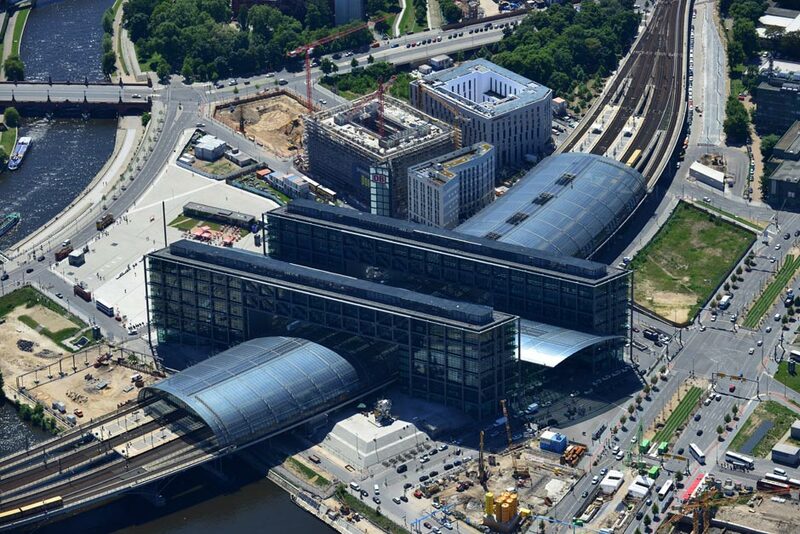 The area around the Hauptbahnhof is still under development, especially the area behind Europaplatz. However, on the other side, closer to the river, around Washingtonplatz you can find some cool places to explore and hang out. Walk around the building. There are a couple of interesting modern sculptures immediately around it. On Washingtonplatz it is very common to find temporary events, markets and art installations. Cross the bridge over the Spree River, grab a beer by the river and enjoy the boats going by. There is even an “urban beach” area called “Capital Beach” during the warmer months.